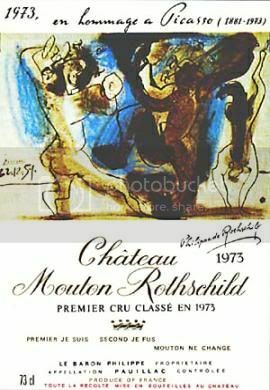 There is a long association of art and wine. Although here in the U.S., we often have this puritanical notion that art should educate us or enlighten us, one of art's main functions is pleasure. Ditto with alcohol. Alcohol and art are tools for hedonism. 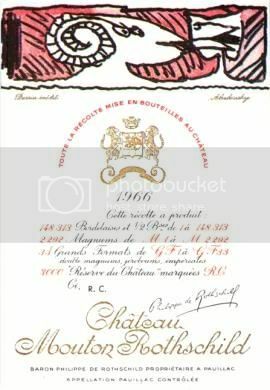 And when we start talking about wine, we add in another commonality, connoisseurship. 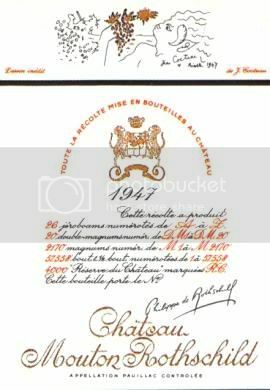 So it was natural that the two should come together at some point, which is what happened in 1945 with Château Mouton Rothschild. 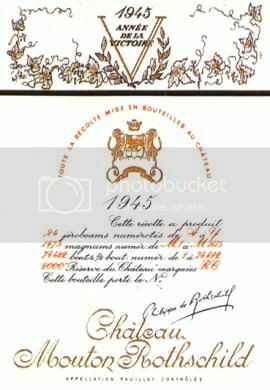 In that year, they commissioned a young artist, Philippe Jullian, to create an illustration for their wine label. 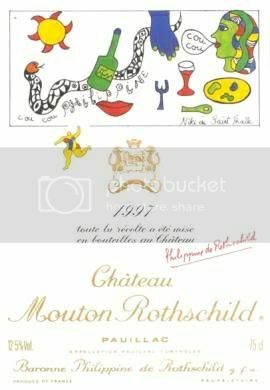 After that point, Château Mouton Rothschild commissioned a new artist label each year by some of the greatest names in art. Here are a few. 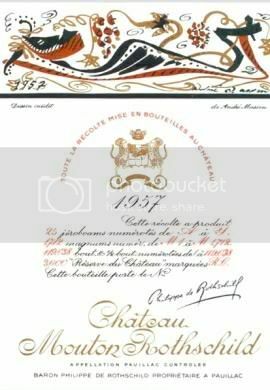 This label was a tribute to Picasso, who died in 1973. 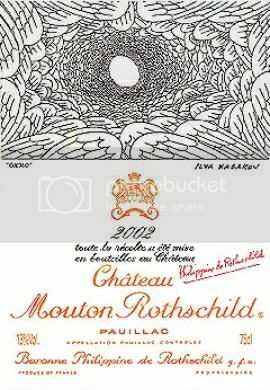 I'm not sure if he actually created this image for Rothschild. So has anyone done this with art comics artists? Well, you can deduce that they have from the title of this post. 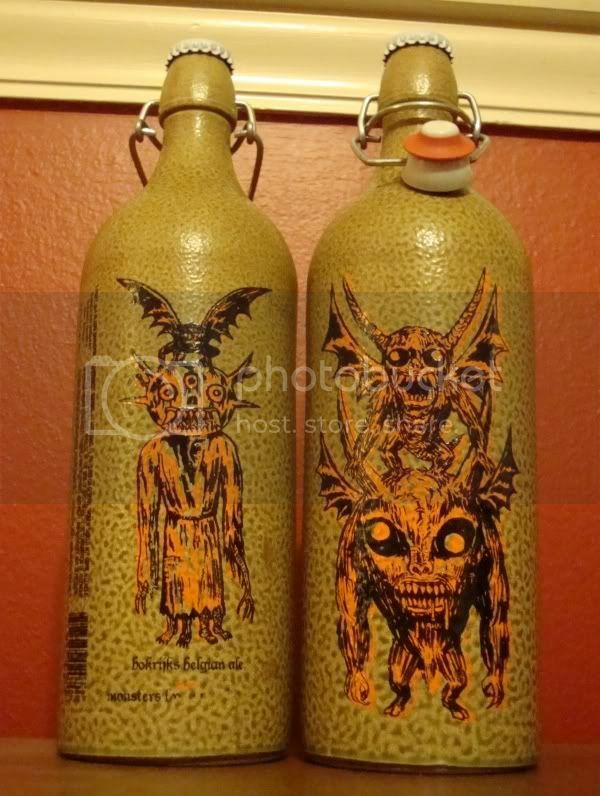 A company called Alchemic Ale began releasing limited edition beer with artist-design silk-screened labels. The first was a beer with a label designed by Ron Regé, Jr., which came with a tiny little comic book attached. And in the past week or so, Alchemic Ale released a limited edition beer with a Halloween themed silkscreened label by Mat Brinkman. Mat Brinkman was one of the Fort Thunder artists. He's published two great books, Teratoid Heights and Multiforce, and as part of the group Forcefield, he was included in the 2002 Whitney Biennial. How is the beer? The Ron Regé, Jr. beer was Belgian abbey ale, and it was delicious. As for the Mat Brinkman beer? Well, my two bottle are cooling in the fridge right now--I will be drinking them later this afternoon. I'll give a review then. One final note: Alchemic Ale is located here in Houston. Who would have guessed that the first alternative comics institution (after the late, lamented Apeshot Press) would be a beer importer? Update: The Mat Brinkman-labels Bokrijks Ale is delicious--it has a young, fresh malty flavor.